Alexander Saykov makes his NightChild debut with a deep sultry EP featuring two original tracks and a remix by Analog Trip. Deep hypnotic grooves take you on a boundless journey deep into the abyss on this 6 track EP from Neremiah. Argentinian producer Ale Kis, joins the label with a fresh single featuring remixes by Big Al and Daniel Torres. Thick basslines and melodic tones are present throughout the package. Fede Lng gets remixed by some of NightChild's finest; including remixes by Dimkal, Doug Gomez, Rissa Garcia and Steve Froggatt. Joining NightChild Records for the first time is NBTJ & UFuk K with their debut single Eat Your Head. Eat Your Head features three original house tracks with twinges of acid and vocal riffs melted together with thick groovy basslines. Doug Gomez aka Hubert street. 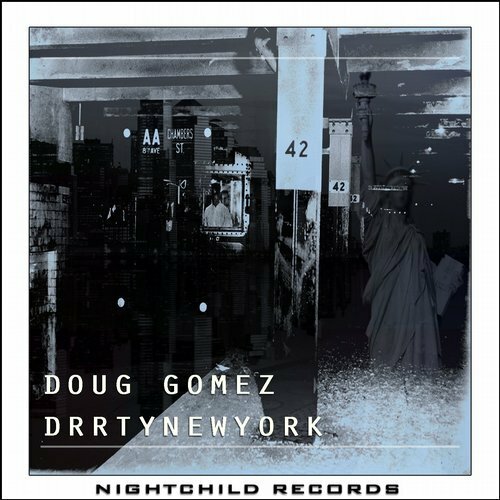 Doug joins NCR with his original EP DRRTYNewYork featuring three original house tracks with that old school NY vibe. Groove Riddim hits us with a housed up original track reminiscent of the 90s with two stellar remixes by Jackmaster K & Metta. Based in San Francisco Rishi K. has been producing and DJing deep and tech house since 2011. Since then he has been released on many well repected labels in the electronic music scene. South African native KP Deep Mesh comes correct with his first EP on the label entitled Strange Manifestations. A hauntingly moody ep with a tribal feel reminiscent of his native land.